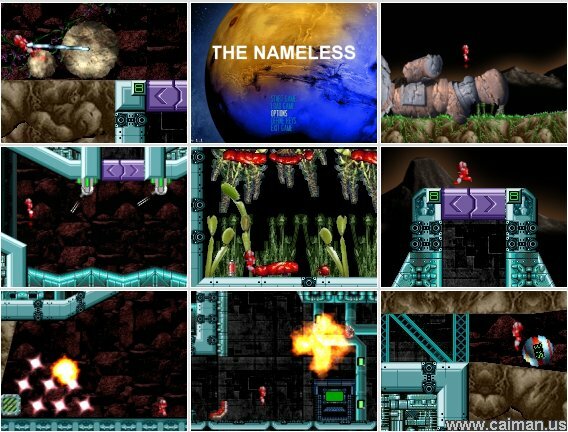 Caiman free games: The Nameless by Trevor Storey & Ovine by Design. An adventure on a Martian mining base. 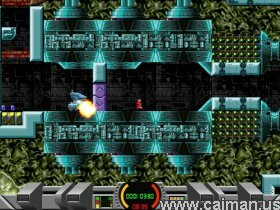 Armed with a upgradable gun, grenades and a jetpack you have to rescue your buddies and so much more in order to make the base inhabitable. 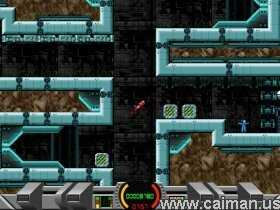 It's a very large platformer whereby you have to look for keycards, talk to computers, collect crystals, weapon upgrades, grenades, etc..etc.. You also can move objects to free a way or to block doorswitches. You even can place some teleports so you easier can travel through the maze of labs and mine galleries. And of course there are enemies and other dangerous stuff (as meteors, radiation etc). I spent a whole day on playing this game and really enjoyed it! The save function works great, you have unlimited lifes (every time you die you go back to your spaceshuttle) so there is nothing disturbing. I really love this game. If you like exploration games, this game is a must! Maze of Galious / Knigh.